This alarmed and continued to worry most of us about the talent gaps in the analytics industry. In fact the past few years have been challenging as we’ve looked to attract new talent to join our team around the country and globe. 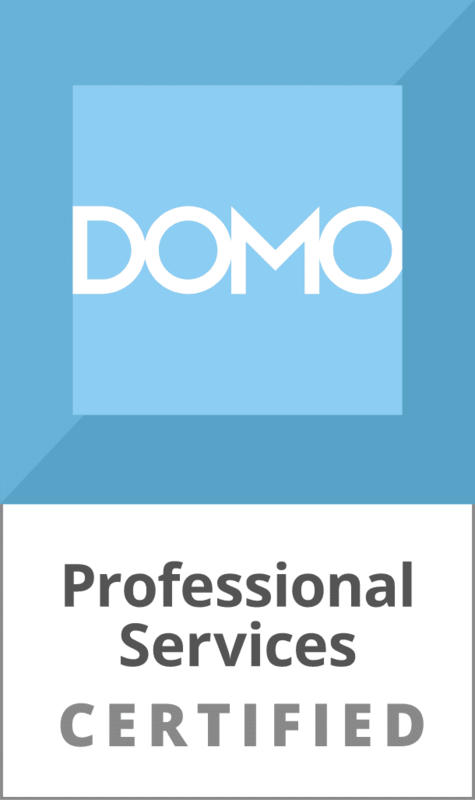 There is no doubt that it is a competitive market for bright, driven and skilled analytics professionals. Is it still a gloomy forecast? Industry sources are still warning of dark, foreboding skies, but we’d like to draw attention to the positive signs we are seeing in addressing the analytics talent shortage. We will share more thoughts on #2 and #3, but let’s focus on what has us unexpectedly excited by what I recently witnessed at the Adobe Analytics Challenge. Universities across the United States have responded impressively to address the shortage of business analysts. They’re producing analytics talent that is demonstrating that they are ready to dive in and quickly produce actionable insights. More specifically, Adobe invited me to represent our organization, Blast Analytics & Marketing, to be an industry expert judge at the Adobe Analytics Challenge. It was hosted at the stunning Adobe campus in Lehi, Utah. This was the perfect opportunity to meet students and to learn about their challenges and opportunities to enter this industry. 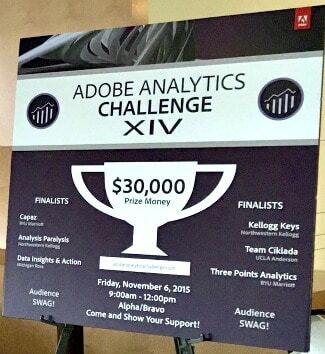 For more than 10 years now, the Adobe Analytics Challenge competition has attracted University students across the country. The students receive real-world data, powered by Adobe’s industry-leading analytics products, from a leading customer partner and must analyze the data to make recommendations for business improvement. The Adobe customer partner this year was Starwood Hotels, one of the leading hotel and leisure companies in the world with more than 1,200 properties in some 100 countries. Each team consists of three students and a faculty mentor. The teams compete for $30,000 in prize money, with the winning team receiving $15,000. A first for this year was the usage of mobile app data instead of traditional web data. Using data to help businesses make better decisions is satisfying and the challenges are endless. The speed at which this industry moves is — thrilling! The opportunities to affect change and drive this industry forward from its infancy is appealing to those that have the drive and passion for data like we do. While talking with students and judging the Adobe Analytics Challenge, it was eye-opening to learn about how educational institutions are starting to embrace Marketing Analytics and the power of data-driven decision making. The Universities with teams that reached the final round of the competition this year were: BYU Marriott, Michigan Ross, Northwestern Kellogg, and UCLA Anderson. Congratulations go to all of the six teams competing in the final round! With over 120 total teams entering the competition this year, the 6 teams were all winners by getting as far as they did. The level of effort that each team put into their data analysis was clear and many of their presentations rivaled the best we have seen. To learn more about the results of the competition, read Adobe’s blog post with more of the specifics. Many of the students talked about how influential a specific faculty member was in helping them understand the opportunities in this field and how it aligns to their career objectives. Faculty members such as UCLA’s Anke Audenaert, who is an Adjunct Professor of Marketing and founder of Favrit, teaches Digital Marketing and Analytics in the Anderson MBA program. 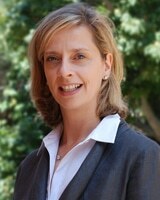 She advised the students from the UCLA team in this Adobe competition. It was great to chat with her at the event and hear directly from her about the ways they mix in real-world data to help the students learn. During the competition, each of the six team presentations were well thought out and carefully executed. They each demonstrated a great understanding of Starwood’s KPIs along with actionable recommendations that could be implemented. While the approach, focus, and recommendations of each team differed quite a bit; they all had an impressive understanding of Marketing Analytics. Some of the more advanced techniques witnessed in the presentation included the use of regression analysis and statistical forecasting models to predict improvements based on recommendations. Data was also extracted to perform analysis outside of the tool as appropriate. As a judge, it is inspiring to meet the talented students and to get a glimpse into the educational system supporting our industry. It was an enjoyable opportunity to connect with these students and share real-world experiences as they enter this awesome world of digital analytics marketing. The quality demonstrated at this competition gives hope that the analytics talent shortage is being addressed through the educational institutions. In fact, Blast is always excited to get involved at this level, so please reach out if you have similar opportunities. Getting back to our top 3 reasons to be optimistic about an improving outlook for addressing the analytics talent shortage. We found alignment with the emerging trends presented by CIO Advisor Paddy Padmanabhan. Paddy mentions outsourcing first, which is a potential solution. However, this often doesn’t meet the need for analytics resources who need to collaborate closely with leadership on high value projects with data sensitivity. #3) Alternate Education: In this case, PhD’s in statistics and applied math will soon be supplemented ( if not supplanted) by non-technical, self-taught and Coursera-educated individuals who will offer a lower-priced option in the labor market. In the meantime, I recommend you read the great tips from Vlad Gorlov on how to create a plan to immediately start addressing the analytics talent gap in your organization. Of course, we are always available to help with your analytics consulting needs, but when you are committed to hiring talent we recommend that you look to other industries with existing and easily adaptable analytics talent. 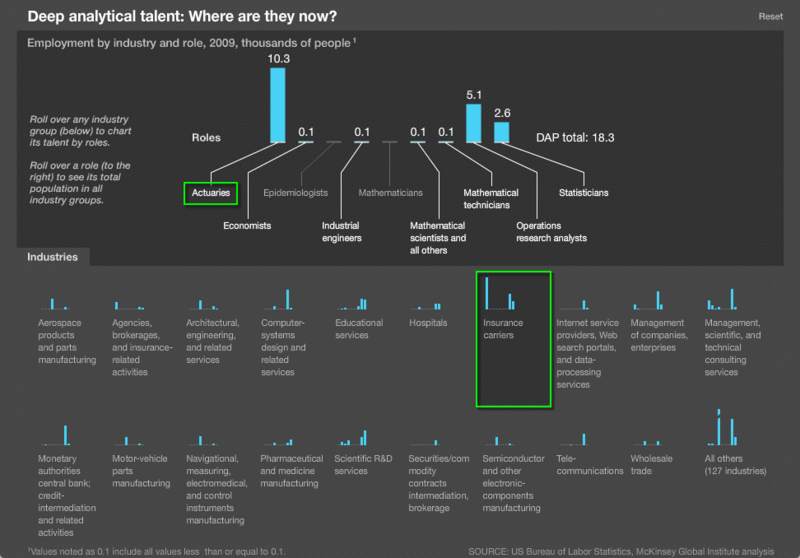 The data source is outdated for McKinsey’s interactive “Deep analytical talent…” visualization but it still gives good insights on industries to mine for talent. Hope this sunny weather forecast makes your day brighter, and whether you agree or disagree please share your comments below.